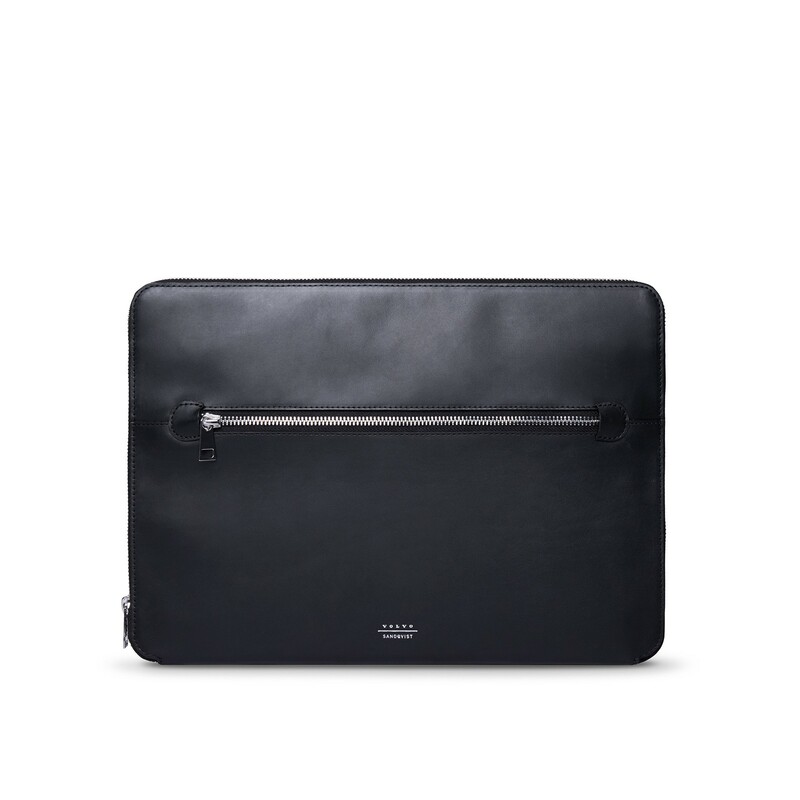 Designed by Volvo Cars and made by Swedish brand Sandqvist, this laptop sleeve is made from vegetable-tanned leather. It fits most 13-inch laptops and has one external zipper pocket. Inside, there are four slip pockets and one pen slot. The lining is 100% organic cotton. Available in black, the laptop sleeve measures 35 x 25 x 1.5 cm.